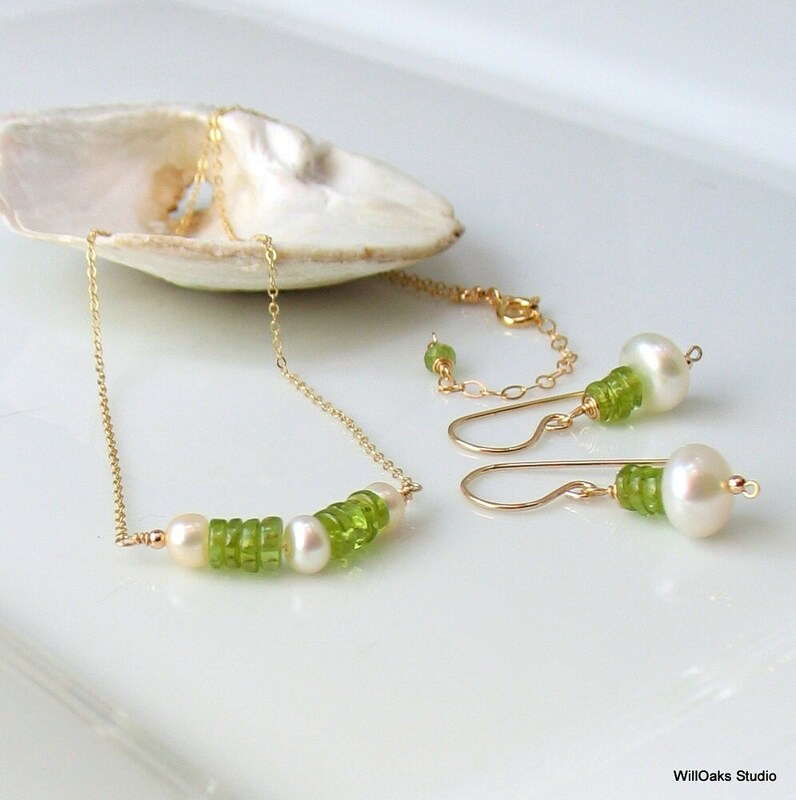 A feminine bar necklace and drop earring set in gold with delicate details, green peridot and white freshwater pearls. Stacked wheels of natural gems with pearls all rendered in durable beautiful 14-20 gold filled metal. 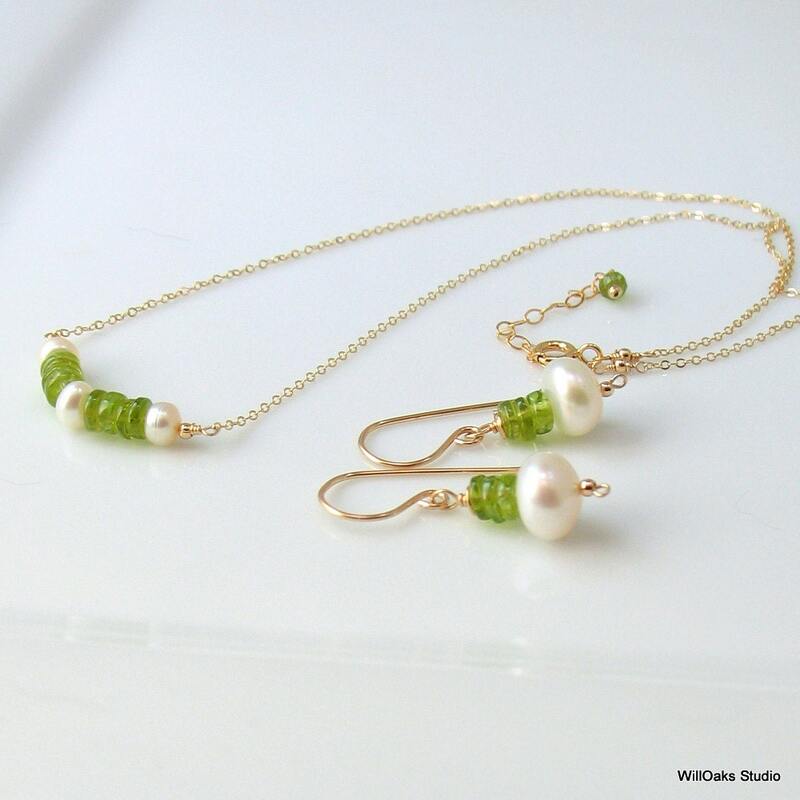 The choker and the pearl earrings are also available individually as separate listings in my studio. Perfect birthstone gift for August and for June! A new addition to my "Stacked Stones" series which features natural peridot cut as wheels to stack between and on top of lovely lustrous ivory pearls. 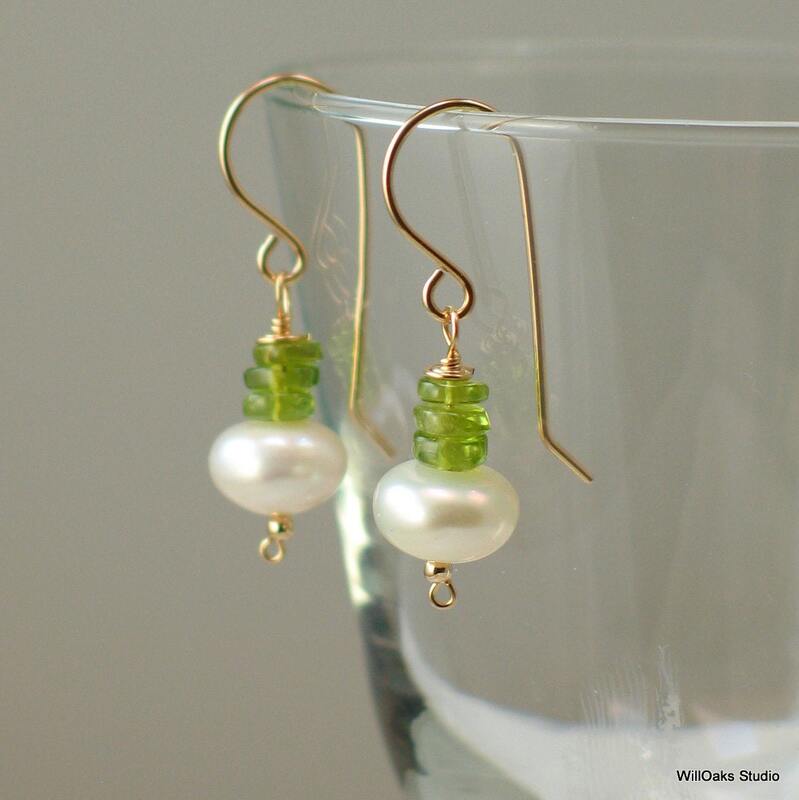 I think the mix of natural gems with gold and pearls is so fresh and feminine for work and play and even for formal events like weddings. This set is great as a very thoughtful gift, too & can be mailed directly to your recipient. The choker can be worn between 16" and 18" long with the integrated extension chain. 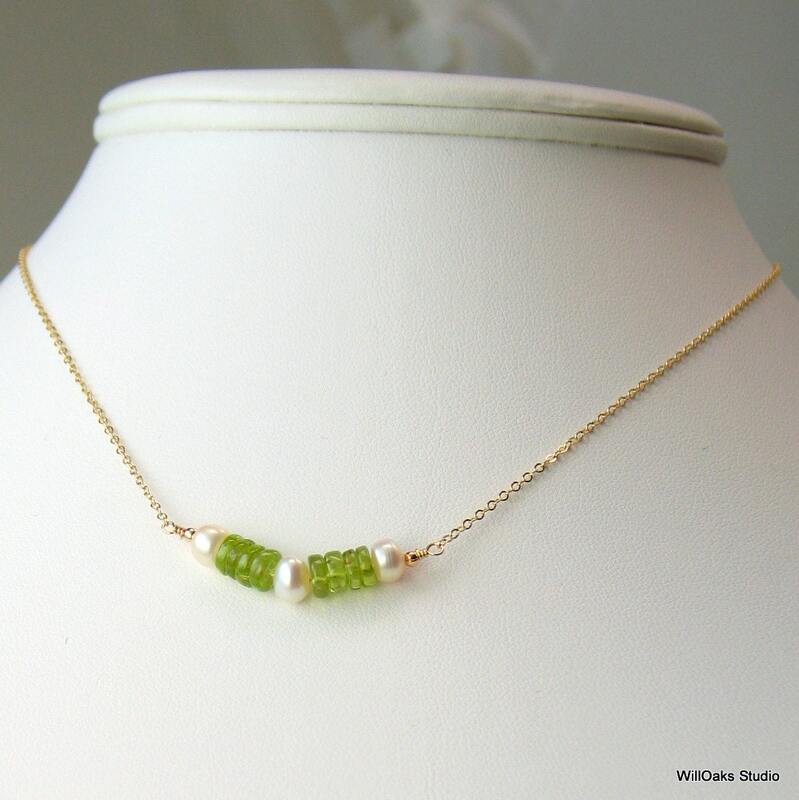 Fine details include intriguing stacked natural stones, different shapes and sizes of freshwater pearls, and 14-20 gold filled wire, fine 1 mm chain, gold filled spring clasp, 2" extension chain, and tiny 2 mm beads. The bar portion of necklace is about 1" wide and the earrings measure about 1 1/4" measured from the top of the earwire. 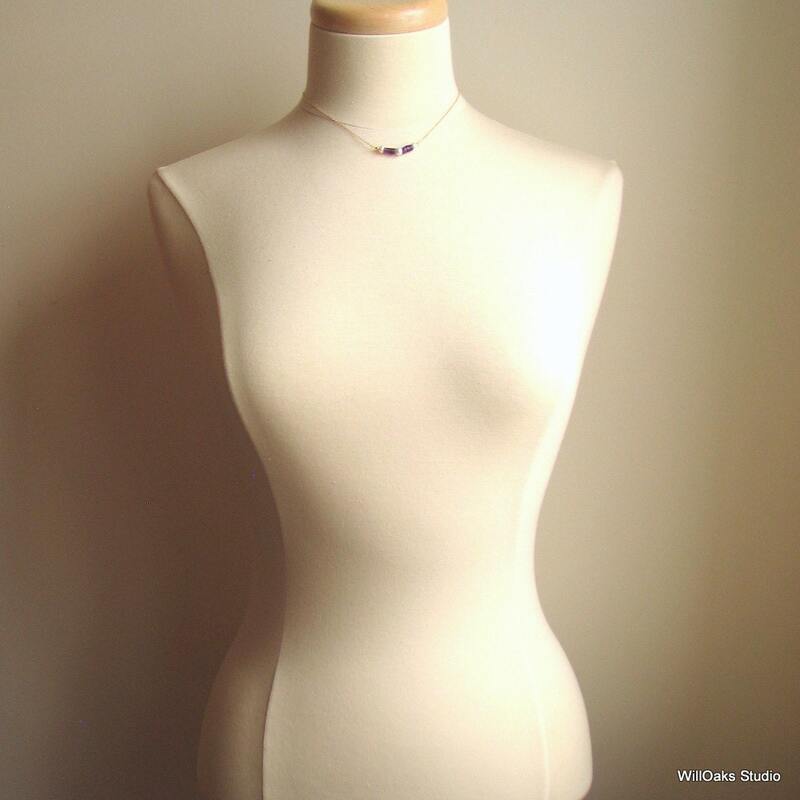 The fresh minimal design and beautiful natural materials will cross seasons and layer with other necklaces. Beautifully packaged as a set, and if green peridots aren't your favorite, this set design is also available in purple amethysts or dark blue lapis lazuli in other listings in my studio.